Why Back Into Parking Spots? 9° Last year I decided to start backing into parking spaces and my garage providing there was no active traffic. It takes about ten seconds longer, which for some is equivalent to murdering kittens. Why back in to a parking spot? It’s safer. People who want to argue this point usually jump to the statement, “What’s the difference, you’re either backing in, or your backing out?” There is a difference, and it’s big. I decided to adopt this practice after being exposed to two companies that have strict policies of backing company vehicles. FedEx drivers are instructed to park so that they don’t have to back out. FedEx delivery vans are big and they can’t see what is behind them. By not backing out of parking FedEx avoids paying out hundreds of thousands, possibly even millions of dollars, annually in accident claims for damages and injuries caused by blindly backing into something or someone. 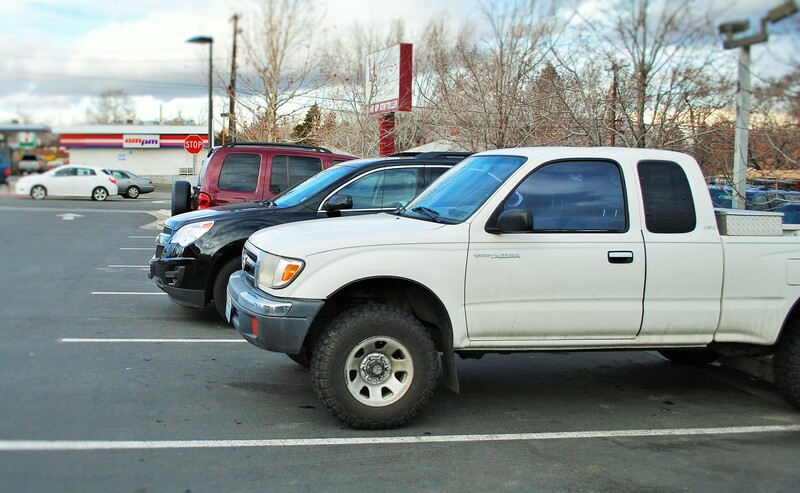 The second company experience was an oil field client that required its drivers to use ‘tactical parking.’ The term is used to describe positioning a car or truck ‘head out.’ Their reason for the policy was to save lives in the event of a catastrophe on a drilling site where rapid evacuation may be required. After learning about these policies I began to think about the dangers of backing out of garages and parking spaces. Backing out means a driver is going into traffic with the worst point of view possible. The driver view is often blocked by parked cars on either side, and the driver is trying to look backwards in a seat that is the least closest to the traffic. When backing into a parking space the driver is in the traffic and has the right-of-way. The driver is also in a position to see all the traffic as well as the open parking space. It just make sense. Backing out of a garage is even more dangerous and is the greatest threat to children who may be below the view of the driver.. While exiting the garage the driver has no view of the driveway nor the activity to either side. Even if the driver safely exits the garage and driveway, then he or she is usually backing into a street, which is inherently dangerous. The next time you see someone backing into a parking spot, remind yourself that are being safe, not annoying.